Team GB - Celtic paranoia? It'll never work. What colour would they play in? The major downside of the London Olympics, apart from the taxpayer paying a lot of money for a sporting event during a time of financial difficulty, is a the spiky issue of the Olympic football tournament. Normally Olympic football isn't an issue in Britain. We don't have a unified team at any level, especially U-23 so we don;t qualify and concentrate on the sport we all love come the Olympics like rowing and sailing and kayaking and 10m pistol shooting. That's what matters at the Olympics, sports which we win medals at that we have no interest in the rest of the time. We'll leave the athletics to the Americans and Jamaicans and concentrate on the dressage. Olympic football simply doesn't exist to the denizens of Britain. Britain hasn't entered a football team to the Olympics for donkeys years and hasn't even considered it since the tournament was opened up to professionals. The big worry, for those who don't know, is this. Despite being a relatively small archipelago in the North Sea, Britain has four national team and by extension four votes in FIFA. Now if FIFA was formed today there would be no England, Scotland, Wales and Northern Ireland there would be a Great Britain team. The current status quo essentially dates back to a time when most of the members of FIFA were coloured pink on the map and were part of the British Empire and each of the home nations have over the decades developed their own distinct styles and footballing heritage. From a footballing perspective they are now four separate entities. Whether it's Moore's 1966 England, Charles' 1958 Wales, Armstrong's 1982 Northern Ireland or... er.... well let's not get into Scotland's performances just now each of the home nations have all become part of the pages of the World Cup. Would it not be sad if this was lost? I'm well aware that some countries which equally played their part in the World Cup have disappeared. Gone are the likes of USSR, Yugoslavia and Zaire but these have all gone due to overwhelming political turmoil and in most cases splintered into many more nations. Now the BOA have apparently have had assurances from FIFA that a one-off entry of a U-23 GB team into the 2012 games will have no future ramifications to the current status of the four home nations within FIFA and as far as I can see the English FA are happy to take that at face value. This is thee same English FA who started to throw accusations of bribery and corruption about at FIFA the moment they lost the 2018 World Cup bid, a bid which essentially seems to have been based on the strategy of "it's our turn, here's David Beckham and Prince William". If FIFA is as corrupt and the FA and the English media are making out then why would you take such assurances at face value? Surely that's a bit on the trusting side? The Scottish, Welsh and northern Irish FA's have basically seen Team GB as a long term threat to their existence and as such been hostile to it from day one. The English FA seem to be happy to run a team for London 2012 with enough confidence that it wont affect their long term prospects. The concern should surely be that the English FA aren't all that popular out in the wide world as their grand total on one vote at the 2018 ballot showed. Jack Warner may be turn out to be an old crook but he was right when he advised the English FA that nobody liked them. Tim Vickery gives a very good perspective on this. Until 1974 FIFA was run by the English, particularly under the leadership of Stanley Rous, who wanted to keep football as something of a European "Boy's Club" and royally pissed off the rest of the world by taking such steps as siding with the apartheid regime in South Africa. In 1974 FIFA voted in Joao Havelange who ran on a ticket of spreading the the game to rest of the world and commercialising it to everyone's mutual benefit. His successor Sepp Blatter essentially still operates on the same dogma thus he still has a constituency in FIFA outside Europe. For all the painfully apparent faults Havelange and Blatter showed they have still done enough to win several FIFA ballots. The rest of the world has long memories and the top offices of football associations around the world are now held by politicians and administrators who were around in the 60s and 70s and remember the way FIFA was. All of this dry history goes to show why the English FA may just be being a bit naive to assume both that any assurance from FIFA is worth the fax paper it's printed on and that their reputation alone justifies their continued existence as far as the Argentinian or Egyptian FAs are concerned. Let's just say for instance that the worst fears of the Scots, Welsh and Northern Irish are right and due to some political chicanery at FIFA a move to abolish he home nations goes through. What then happens to the English FA? They get merged along with the Scots, Welsh and Nothern Irish. Then there's no blessed English FA with their sense of entitlement and divine right to win things. I'm a proud Scot and while I immensely enjoy seeing England being beaten but that's all in a sense of friendly rivalry. I certainly don't hate England, the English or resent the right of English people to back their team to the hilt and that is as it should be. I'm not politically or dogmatically opposed to the concept of a GB football team at the Olympics but if it presents a threat to the continuation of the four home nations then I have to stand firmly against it. The Celtic FAs can see this threat and I'm really not sure what makes the English FA think they're just that little bit different or special that it's no threat to them. They can hardly rely on their friends at FIFA, can they? 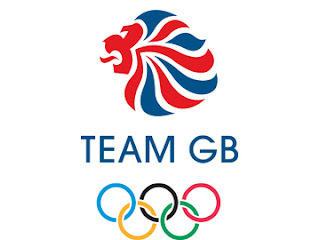 The very presence of a Team GB could end up being a deeply divisive issue come the 2012 games and essentially counteract the raison d'etre of the project. The football tournament is one of the events which can be spread round the country and theoretically the most accessible of events. Team GB, rather than be a unifying force for the whole country to get behind could end up being a political timebomb, at best ignored and at worst resented by many of the people it's supposed to represent. I couldn't bring myself to cheer on a Team GB at the 2030 World Cup in the knowledge that it came about at the cost of my national team. Team GB will happen at London 2012 but let's hope it doesn't turn out to be the beginning of the end for the home nations.